BEATER II is the second generation of the successful line FOMEI BEATER. Variable optics, reticle has a red dot. 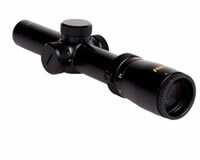 Riflescope body is manufactured from one-piece tube and filled with dry nitrogen. 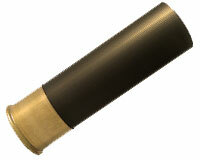 It features a high resistance to recoil adequate for example caliber 300WIN Magnum. The tube of diameter 30mm is made of one piece and the walls are reinforced for higher rigidity. The optical part is equipped with SMC coating for high light transmission and image clarity. For mounting on the weapon we recommend using a fixed steel mount of 30mm. Red dot brightness control is on the left side of the tube. The intensity of the red point can be adjusted in 6 steps - 3 steps for day and 3 steps for night. Red dot adjustment includes position "0" between each step (see the picture). This allows quick and easy selection of the right position for day and night. The lighting can be switched off from any position by turning in both directions. This riflescope is ready to turn on at the last used position of red dot adjustment.